In villages across rural Latin America, there is often a sense that things might never get better. Farmers have to do more work but grow less food as a result of environmental degradation. Many have been offered false promises before, by loan sharks, by NGOs, or by governments, but with no avail. In places like Burundi and the Democratic Republic of Congo, conflict and violence have torn apart communities. Many men and women have experienced unthinkable losses during times of war. Many people in Tanzania and Thailand are refugees from these sorts of conflicts, in search of a new life. These are weary lands. Yet in the midst of them, there is hope. Hope isn’t the denial of how hard things can be. Hope is a vision for how things could be better. It’s resilience. It’s the refusal to give up and allow today’s hardships to derail tomorrow’s triumphs. While our partners in Haiti and Burundi may not have very much in terms of physical resources, they do have hope. And that hope manifests itself in a wide variety of ways. Hope looks like Pablo in the Dominican Republic making the decision to stop drinking, and to instead use the money to invest in his farm and in his family. Hope looks like Felicite in Burundi taking the first steps towards joining a savings group in Nyakazu, even though she had been denied access to credit before. Hope looks like Guy and our Haitian staff working with challenging infrastructure, insecure roads, and skepticism towards organizations in order to bring change to remote villages on the island. These decisions seem small. They often go unrecognized in the moment. But they are acts of hope that put change into motion. Felicite at the field behind her new home. Hope is always worth celebrating. 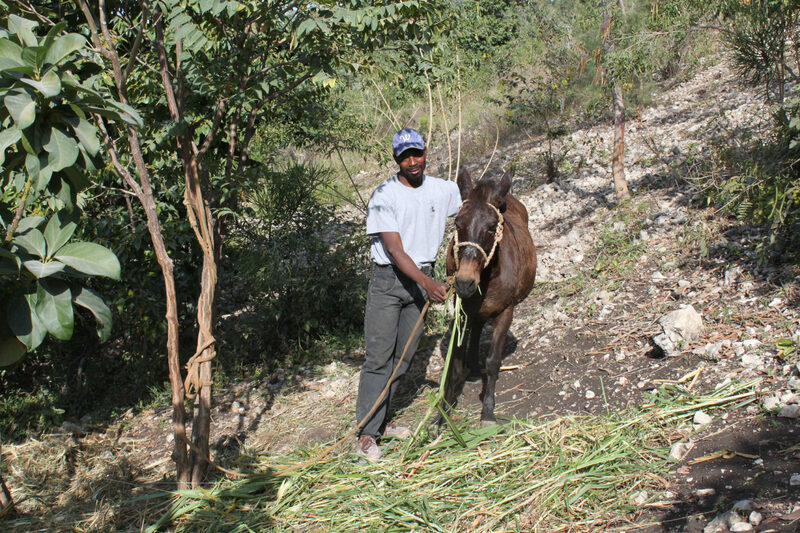 Our Haitian partners have planted 3.4 million trees. Our partners in the Dominican Republic have saved over $1 million in equity. A government official has called our program in Burundi one of the most effective reconciliation efforts. There are more of these stories that have yet to be written. While we’re happy with some of these results, we are also not ready to rest. Not every story is a success story. Not every story is a finished story. But hope takes action before the story is over. Hope is in effect right now. This is worth celebrating. On October 6, Plant With Purpose will host its annual Planting Hope Gala in Carlsbad. It will be an evening of entertainment, refreshments, inspiration, and opportunities to support Plant With Purpose. Most of all, however, it will be a celebration of hope. The kind of hope that is making a difference in difficult places, in ways that go beyond our imagination. Tickets to the Planting Hope Gala are limited. Follow this link to reserve your spot at the Cape Rey Hotel in Carlsbad. Can’t make it? Stay tuned to next week’s post as we unveil a story of hope in action.